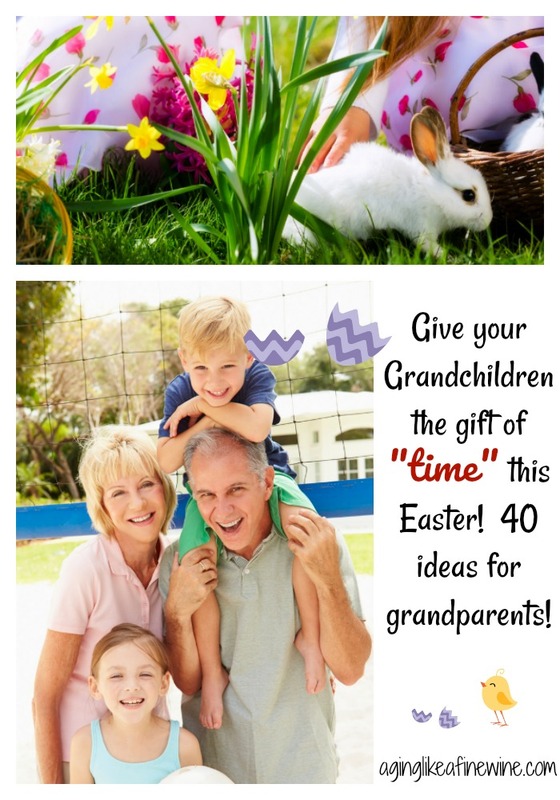 Give Your Grandchildren the Gift of Time this Easter! 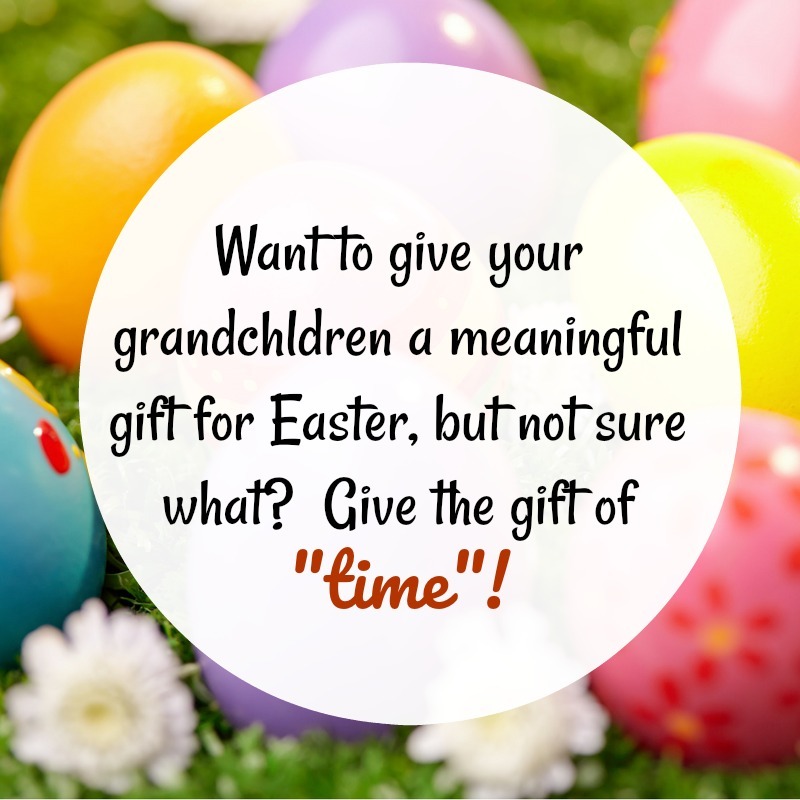 Instead of giving candy or toys this Easter, give your grandchildren something that will have lasting value… the gift of time with you! I’ve put together a list of 40 ideas for you to do just that; spend precious time with your grandchildren! I’ve also provided downloadable coupons for you to fill in with the activity you choose. Download and print a coupon, fill it in with the activity you choose, place it in a plastic egg, a card, an Easter basket or at their seat at the table for Easter dinner! While writing this I began thinking about everything we hear about mindfulness these days, which led to thoughts about how important it is that we be mindful of the precious time we have with our grandchildren. After all, as grandparents, we know just how quickly the time with our own children flew by. So in being mindful when we are spending moments with our grandchildren, let’s listen intently to their stories, notice what makes their eyes light up, hold their hands whenever possible and cherish each moment! What other ideas do you have? I would love to hear in the comments! This post will be shared at the link parties found on my “Where I Party” page. We have our little almost 2yr old granddaughter down visiting us for Easter – it’s been delightful and we’ve certainly had lots of time with her – mind you the Easter eggs were very popular too!